Compact 70x90 mm Variable Gain EDFA:F-tone's Compact 70x90 mm Variable Gain (VG) EDFA is a micro processor-controlled module for C-band amplification. The Compact VG module is packaged in a 70x90 mm amplifier package, providing drop-in replacement software and hardware compatibility to line cards already designed to accommodate fixed gain EDFA. 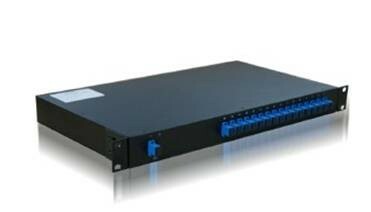 DWDM EDFA Series:The product is high stability output EDFA. The stability Pump optical maser and unique ATC (automatic temperature control) and APC (automatic power control) circuit are employed in it as the key component to ensure the high stability and reliability of output power；The unique optical circuit design ensures the excellent optical character. F-tone's 70x90 mm Fixed Gain EDFA product line supports a full range of C- or L-band fixed gain WDM EDFAs, as well as narrow band, CWDM and single channel EDFAs. The products support either cooled or uncooled pumps, allowing the optimal combination of size, power consumption and performance to be achieved for each application. High Power Variable Gain / Fixed Gain EDFA:F-tone's High Power Variable Gain / Fixed Gain EDFA module provides up to 26dBm output power using standard telecom grade single-clad broadband technology. This high output power is critical in applications requiring an improved optical signal to noise ratio (OSNR), such as long repeaterless links, long span masking in multi-span links, and high capacity systems. F-tone's Hybrid Raman-EDFA module enables cost-effective deployment of ultra-long haul networks as well as the extension of existing long-haul, regional and metro networks, without the need for 3R O-E-O regeneration. The Hybrid module consists of a counter-propagating Raman pump unit and a variable gain (VG) EDFA. Optical Supervisory Channel (OSC) EDFA:F-tone's Optical Supervisory Channel (OSC) EDFA is designed to be used as a booster amplifier for a 1510 nm OSC. This unique EDFA, provided in a compact 70x90x15 mm MSA form factor, provides up to 12 dBm output power in the 1503-1517 nm band, thus significantly extending the link reach of the OSC. Raman Amplifier Module:F-tone's Raman amplifier module is an intelligent pump unit for distributed Raman amplification. The Raman amplifier module can accommodate two or three pumps (multiple wavelengths) for C or L-band amplification, and includes full and comprehensive electronic control. The dual and triple-pump models have a maximum output power of 700 mW and 1 W, respectively. Using patent pending technology, the Raman pump unit can operate in full automatic gain control (AGC) mode, thus allowing the Raman gain to be set with an accuracy of +/-0.7 dB. Single Channel Micro EDFA:F-tone's Single Channel Micro EDFA is a cost-effective micro processor-controlled module for amplifying single channels in the C-band. The amplifier is provided in a micro 45x70x12 mm package, and exhibits low power consumption allowing it to be easily integrated onto space and power constrained transponder line cards. Stand Alone 1RU EDFA:F-tone's Stand Alone 1RU EDFA comprises one or two F-tone EDFA modules, packaged within a rack-mountable 1RU unit. This unit can be operated as a fully independent network element using a comprehensive and user-friendly GUI or SNMP/RS232 communications, and is an excellent solution for immediate deployment of EDFA-based systems. F-tone's Variable Gain Dual Stage EDFA provides flattened gain across the C-band, low noise figure, and a large dynamic gain range (up to 15 dB). The product includes advanced features such as comprehensive transient control, tunable mid-stage access (MSA) loss, and gain tilting functionality. The Variable Gain Dual Stage EDFA can be implemented in all network segments (long-haul, regional, metro and access) and for all network applications (telecom, cable and enterprise).